I have my niece to thank for this idea. A great activity when it is too cold and wet for outdoor play! 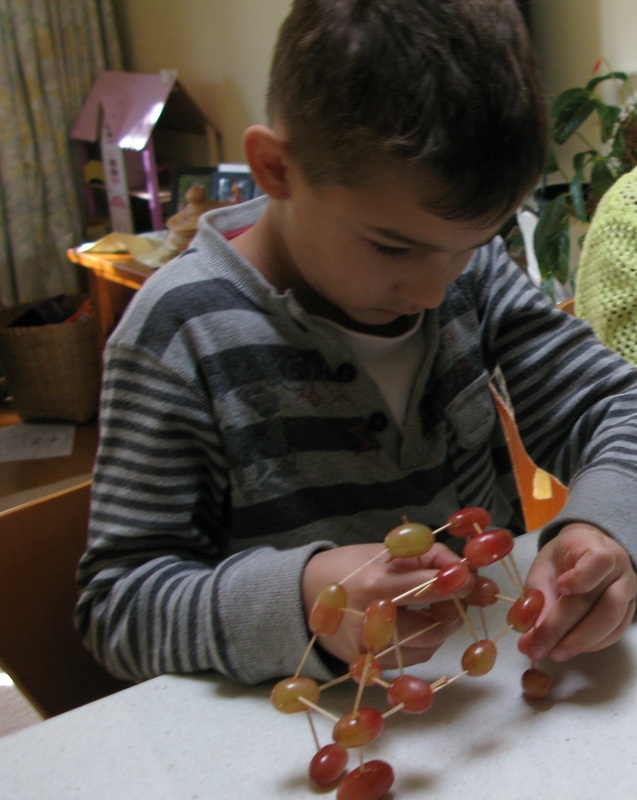 I provided a bowl of grapes and some toothpicks and let my young artists create grape sculptures. To my amazement they were hard at it for over 45 minutes with adaptions, extensions and collaborative building all happening. The final grape sculptures even stood up to a ride home in a box to be shown to parents. Thanks Fern!